Choosing to get a tattoo is a huge decision. Don’t pressure yourself to hurry. Take time to figure out exactly what you want and where you want your first ink to be placed. Do some research and surf designs online to discover what you like and don’t like. Check out black tattoos and color tattoos and which option you prefer. Mentally prepare yourself for the tattoo procedure and book an appointment only when you are confident in your decision. Before choosing a tattoo, you need to consider the type of design you want. 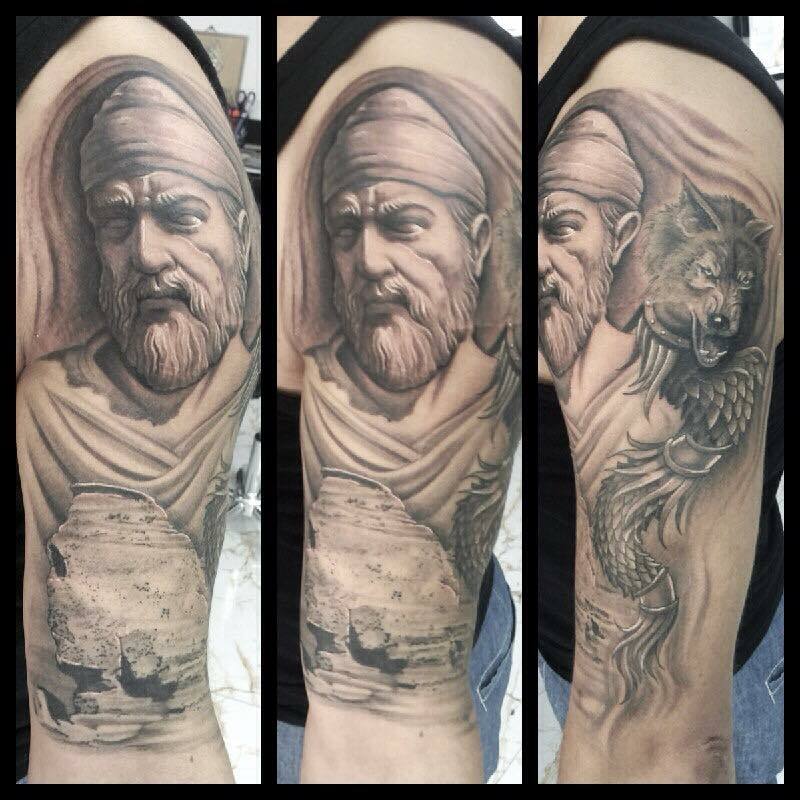 Do you want something that symbolizes your heritage, your religion or spirituality? Or do you want a tattoo of your favorite sport or animal? You will need to consider all of these things and more when deciding on your first tattoo. You will also need to consider the popularity of the design. 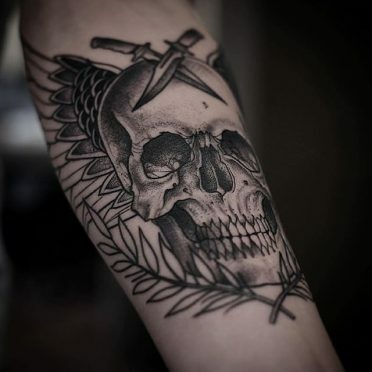 Crosses, skulls, butterflies, and roses are examples of very common tattoos. Make sure you are okay with seeing several other people with similar designs if you choose one of these for your first tattoo. Try to think of ways to make the tattoo a little different than others with colors and other elements. Tattoo colors are also something to consider. Do you want black, dark blue, or do you want vivid colors of the rainbow in your tattoo? Your skin tone will play an important role in the colors for your tattoo. If you’re choosing to have Japanese or Chinese calligraphy or other symbols done, make sure you do enough research to make sure the symbol means exactly what you think it does. There is nothing worse than getting an awesome looking tattoo, then finding out it means something terrible and embarrassing. Take your time to find the perfect design for you and your unique taste and to make sure you get exactly what you are expecting. Deciding on where to get your first tattoo is just as important as the design itself. For first tattoos, it is highly recommended you choose a location that is easy to reach for cleaning purposes. Try not to select an area that may get rubbed by belts or undergarments. These locations can cause irritation and infection easier than other areas, especially for your first tattoo. It is always wise to find a place your tattoo will look great, but also gives you easy access for cleaning purposes. 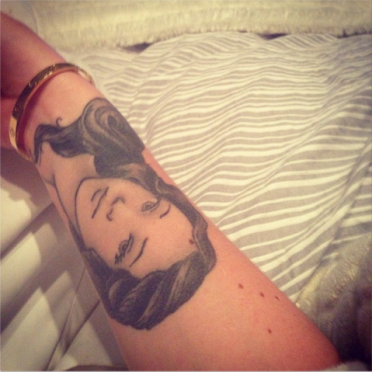 You should also choose an area where you can easily see your tattoo, particularly when it’s your first one. You will want to be able to see the healing process of your tattoo and how the colors progress from day to day. You should avoid getting a first tattoo on your hands, neck, and face. These locations require special care and you should also check with your employer to see if tattoos in these areas are prohibited. If you have to take extra measures in order to cover up your tattoo, then you shouldn’t choose that area. 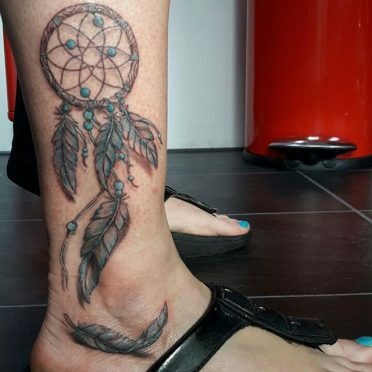 Getting a tattoo on your foot can also require a bit more maintenance than other locations. If you’ve chosen to get a tattoo on your foot, make sure you’ll be able to go barefooted as much as possible for up to three months after the tattoo. If you must wear shoes, avoid socks and shoes that cover the top of the foot. Loafers and flats are great shoes to wear when your foot tattoo is still healing. For your first ink experience, getting a small tattoo may be the wisest choice. Smaller tattoos will not take as long for the tattoo artist to complete and you will not bleed as much as you would with a larger tattoo. The bigger the tattoo, the harder it is to clean and keep clean. With more surface area covered by a larger tattoo, there is more possibility of the sensitive skin rubbing on clothing and getting infected. Another perk of getting a smaller tattoo is the time. The bigger the tattoo, the longer it will take to get the tattoo finished. Since this is your first tattoo, a smaller design will help you determine your pain tolerance. If your first tattoo is huge, you may not be able to endure the discomfort as long as you need to. 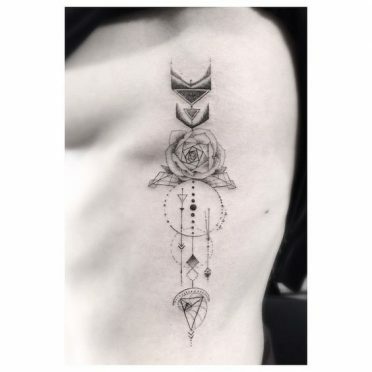 This could result in an unfinished tattoo or you may need to make several different trips to the parlor in order to have it finished. Keep in mind that if you want a colorful tattoo, you will need to get a bigger design. Color ink tends to bleed into other inks, so it is not a wise decision to have several different colors in a small area. 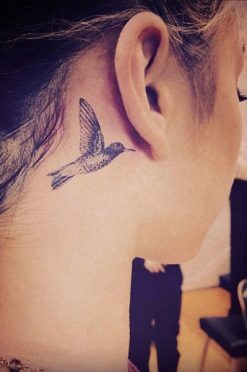 A smaller tattoo equals a smaller price tag. 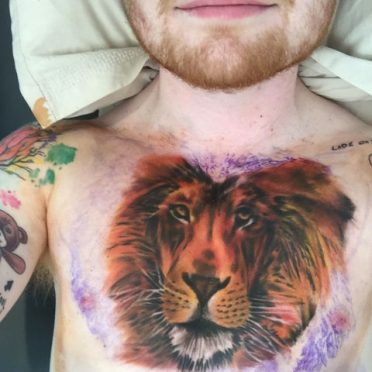 You may not want to spend a lot of money on your first tattoo. 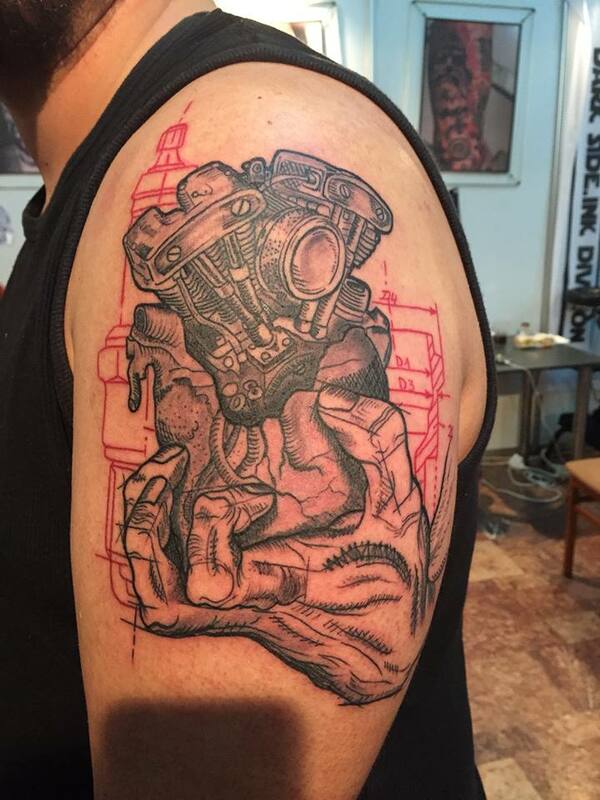 See how you like the experience and save up to get a bigger design on tattoo #2. If you’re still not sure about getting permanent ink, try a henna tattoo. If you have the design, size, and location figured out, but are still undecided about going through with the actual tattoo, henna can be a life saver. Getting a henna tattoo will let you see the tattoo on your body with the option of washing it off. If you love the look and feel of it, you know you are ready to get the real thing. If you still feel apprehensive, you should probably wait a little longer before getting a tattoo. Regretting a tattoo is the last thing you want, so be 100% confident before making your decision. Another thing you will need to consider before making a decision on getting your first tattoo is your religious beliefs. Many religions believe that getting a tattoo is considered to be a sin against your own body. Other religions (like Judaism) may even restrict you from being buried in their cemeteries if you have a tattoo. Consider the way your religion views tattoos and decide if you can live with your decision. Getting a tattoo is never without some judgment. Make sure you can endure that judgment before having your first tattoo done. Talk to friends and see what they think. If some of your friends already have tattoos, ask them for advice in every aspect of the tattoo process. Find out which areas were the most painful to get and the most difficult to clean. Ask if they have any suggestions for the best size to get and ask how long it took them to get their tattoos. You will want to have a good idea on how much time you will be spending in the tattoo parlor. Get all the advice you can so that you can mentally prepare yourself for your upcoming tattoo. Get referrals from friends or family members that have tattoos. You will want to find both a tattoo parlor and an artist that comes highly recommended. Getting your tattoo done at the same place as friends and family can make you feel more at ease. You can relax knowing that the parlor and artist is a save and clean choice. If you can’t get any referrals from friends or relatives for any nearby parlors, start searching online for local places with great reviews. 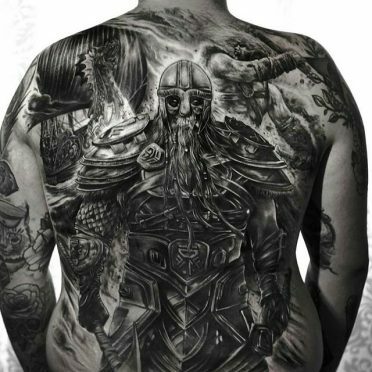 The shops and artists with the most positive feedbacks are the locations you will want to go check out as potential candidates for your tattoo. Don’t decide on the parlor and artist based on referrals or online reviews alone. Make your own decision. 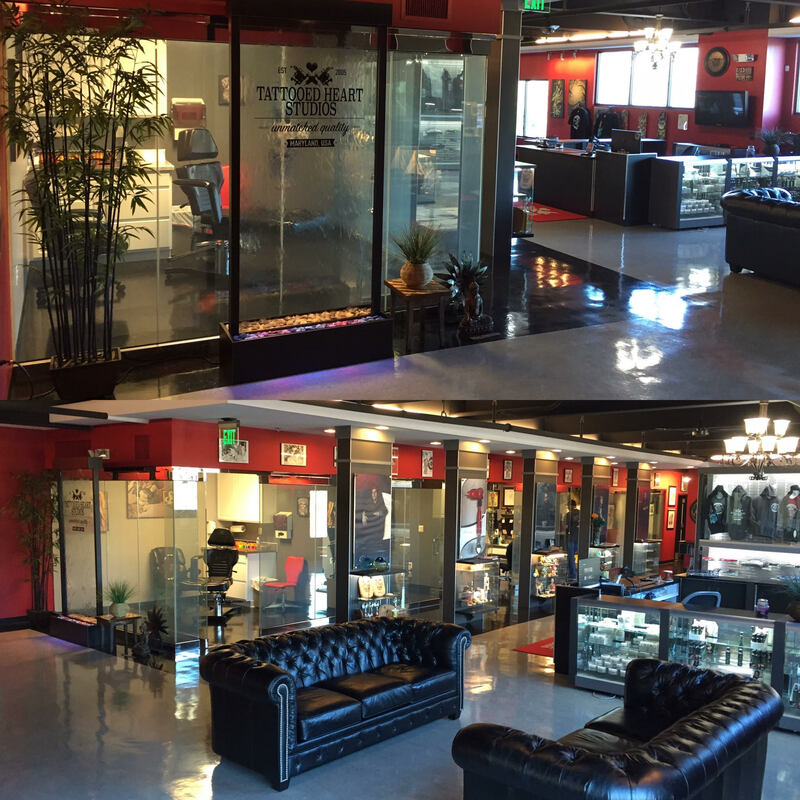 Visit as many parlors as you can and take a look around. The parlor should be kept clean and the artists should all be friendly and inviting. Talk to some of the artists if you can. How do you feel when you first walk in? The vibe you get from just entering a parlor can be enough to make a decision. If you’re uncomfortable when you walk in, that’s probably the way you’ll feel the entire time you are there. If you feel at ease the second you enter a parlor, that’s a good indicator that you’ve found the right place. However, don’t forget to check out the artists and see if you can find one you’re willing to give you your first tattoo. Talk to as many artists as you can. Choose an artist you feel comfortable with. If you can easily sit and talk to him or her, that is a good sign. If the other artists make you feel a little uneasy, don’t work with them. It’s nothing personal. Some personalities click while others clash. Only work with an artist you know you can stand to be around for several hours. After all, getting a tattoo can take up a lot of time and you wouldn’t want to be stuck with an artist you don’t like. Aside from personality connection with an artist, you will want to check out their portfolio. If they don’t have one, don’t work with them. You want to be able to look at their work and see if the artist’s personal style fits your specific needs. If you like their previous work, you will likely appreciate what they can do for you. Make an appointment to speak with the artist you selected. This is a huge step in your tattoo decision making. An appointment or consultation will allow you to have enough time to speak with your artist one on one. You can tell him or her about the design you want and they can tell you how long it will take. 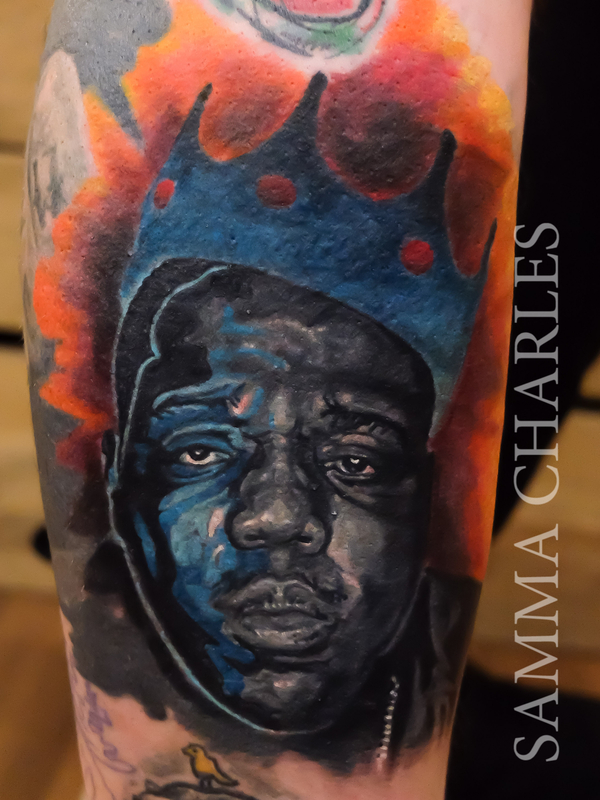 The artist will also be able to make suggestions about the size and color of your tattoo. 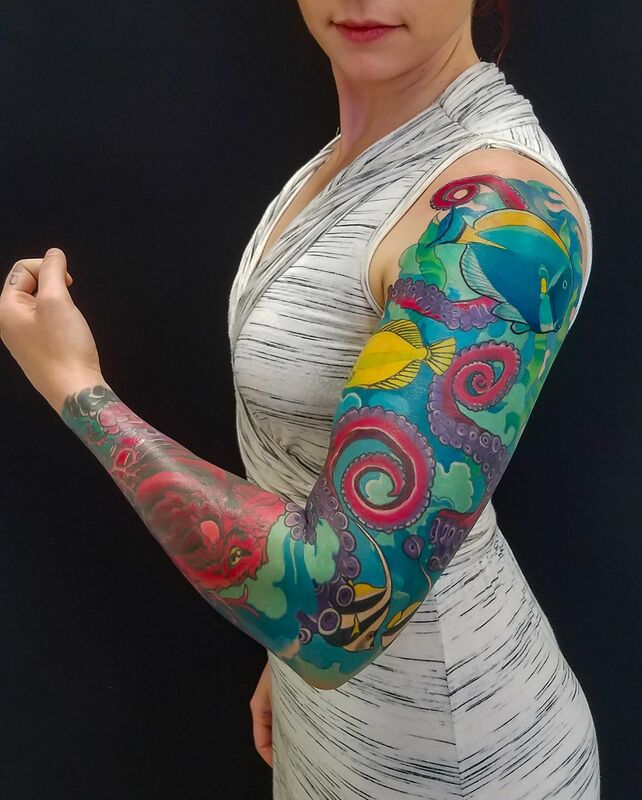 They can make expert decisions to ensure that the tattoo design will flatter the area you want it on and can offer advice on colors that will work best with your skin tone. Having a consultation with your tattoo artist will help you wash away any doubts that you may have. Speaking with the artist also allows you to feel more comfortable with your artist and the decision you’ve made in the tattoo design. During the consultation, ask about the price and get a bid. You will want to have a good estimate on how much the tattoo you want will cost. You want to make sure you can afford it because you will need to pay for it on the day it is done. 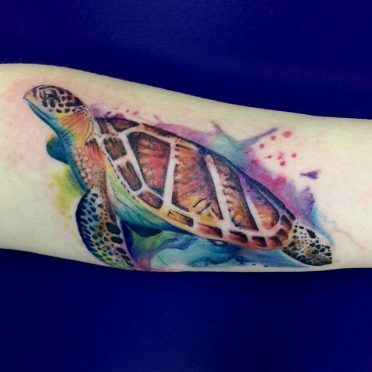 If the price is a little too expensive, you may be able to have a smaller size with fewer colors done to make the tattoo more affordable. If you don’t want to change the design, you can start saving money. Your artist will be more than happy to schedule your tattoo a few weeks or months later if you need to. If you have a design in mind, but aren’t sure of the colors or size, the artist can draw you an example. Most artists will work with you until you find the perfect tattoo. They might suggest different colors or other decorative accents to make the design more unique. Artists can help with every step in the process to ensure your satisfaction with the tattoo design. After you and the artist have come to an agreement, you can then be informed of the full price and set up the actual appointment time for your tattoo. You can also ask how long the tattoo will take, so that you can set aside enough time for the big day. The full price does not include the tip for the artist. Just like going to get your hair done, make sure you have enough money set aside to give your artist a nice tip. Make sure you know how long your tattoo will take to be completed. You will also want to factor in additional time for wait time or other delays just in case. Most people tend to have an entire afternoon and evening free for their tattoos. Let your artist know you have plenty of time to let him or her know that they do not need to hurry. If your artist feels rushed while doing your tattoo, it can lead to mistakes by even the most experienced artist. It’s essential you make your artist comfortable too. When you go in to have your tattoo done, your artist will put a stencil on the area your tattoo will be going. Make sure you love where it is and the position of the tattoo. If you have any fragment of doubt in the placement, tell your artist. It only takes a few minutes to remove the stencil and place another one in the perfect spot for you. It’s better to speak up than be stuck with a tattoo you’re not completely happy with. Your skin will be wet when the stencil is applied, so be careful not to bump or rub up against anything before it is dry. You don’t want any smudges or your artist will have to apply a new one. For your first tattoo, it is best to bring a close friend, boyfriend, or relative to provide moral support. By bringing someone with you, they can provide encouragement and help keep your mind off of the pain or uneasiness you may be feeling during the tattoo process. You will also want another pair of eyes with you to make sure that everything is done properly. People are usually a little nervous when they are getting their first tattoo and don’t think to notice clean needles, gloves, and other sanitary measures required by the artist. If a friend notices something not up to code, they can speak up for you and make sure everything is done perfectly while you’re getting tattooed. Aside from bringing a friend or family member with you, you may also want to bring a book, magazine, or MP3 player with you. This can create even more much needed distractions for you as a way to keep you from dwelling on the pain. Or if you get queasy at the sight of needles, this is a great way to avert your eyes during the entire process. Leave the tattoo inspection up to a friend and relax with a good book while you’re getting your first tattoo done. Wear comfortable clothing when you go to get your tattoo done. You’ll be there for a while and wearing tight clothes can make you extra uncomfortable. You will also want to consider where you are getting your tattoo in order to provide easy access to the tattoo site. If you’re getting a shoulder tattoo, wear a tank top or a t-shirt with the sleeves cut off. This way, you will not need to remove your shirt. Wear flip flops if you’re getting a tattoo on your foot. Just use your best judgment when selecting your wardrobe so you’ll be extra comfortable and relaxed for the duration of your tattoo. Try not to have any alcoholic beverages before going to have your tattoo done. Alcohol thins your blood and that means you will bleed even more during the tattoo process. 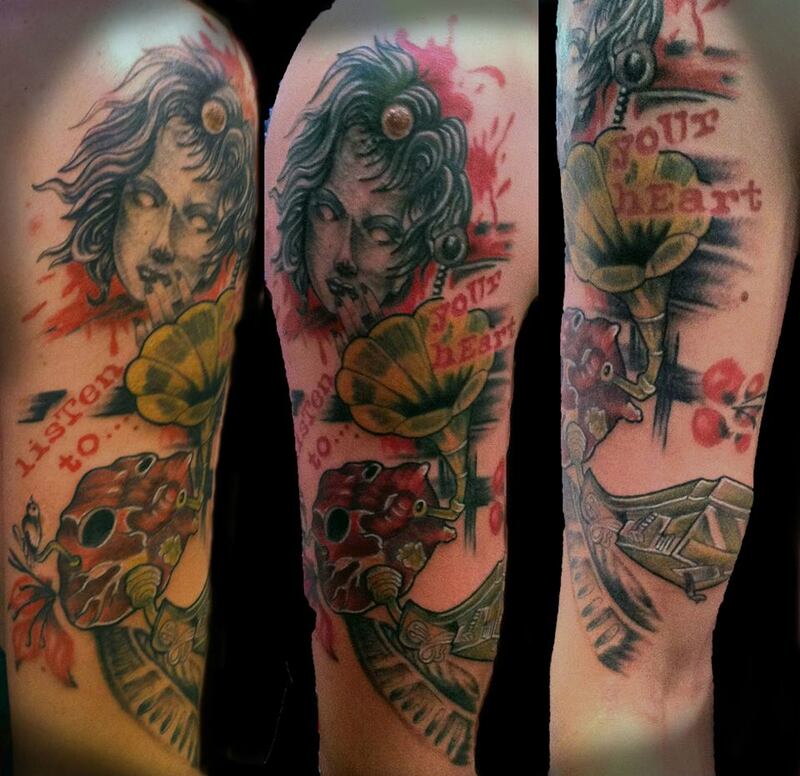 The more blood you shed, the harder it is for your artist to do your tattoo. The blood will need to be wiped off more often and will take a lot longer for your tattoo to be completed. It’s best to completely avoid any alcohol on the day you’re scheduled to get your first tattoo. When all measures have been taken to ensure a clean, safe, and satisfactory tattoo application, you are ready for the process to begin. Prepare yourself. You will feel some pain and there will be some blood. Pain and blood vary by individuals and the size of their tattoos, but you need to prepare yourself for anything. You may feel a slight discomfort to blinding pain, so be ready. If you went with the smaller tattoo, you shouldn’t bleed too much if your blood isn’t thin. In most cases with small tattoos, bleeding starts halfway through the process and doesn’t amount to much. If you prepare yourself for the worst, your first tattoo experience won’t be too bad. Cleanliness is the most important element in getting a tattoo. If the tattoo artist does not practice all the sanitary guidelines, you may end up with an infection or a serious illness. Some people have even gotten Hepatitis C and HIV from getting a tattoo from a place that used dirty needles and ink pots. Before you allow your tattoo artist to begin inking you up, make sure they use new needles and new ink pots. Artists double-dip in the ink pots, so it is very important to make sure they open brand new ink pots right there in front of you. If they don’t, ask them to open a new one. The same thing with the needles. If you don’t see the artist take a needle out of its wrapper, make sure you ask him or her to get a new one. Do not be afraid to speak up. You do not want to end up with an infection or worse just because you didn’t want to annoy or upset the tattoo artist. Your health and safety is far more important than anyone’s pride. Make sure your tattoo artist washes his or her hands and puts on gloves before beginning. If there is not a sink in the tattoo room, you may not know for sure if the artist has washed his or her hands. In this case, there should be hand sanitizer in the room for them to use. You can even bring your own and ask them to use it. Before a tattoo artist even touches your skin, they should be wearing their gloves. If they are not, ask them to go get some. The parlor should have an abundance of gloves in every room, so these should be easy to obtain. If not, do not get a tattoo there. This is a serious red flag and you should go elsewhere for your tattoo. Your tattoo artist should prepare your skin for the tattoo by washing your skin with warm soapy water. If the area that will be getting tattooed is hairy, the tattoo artist will also shave all the hair off and wash the skin again after all the hair is removed. Rubbing alcohol will then be applied to ensure that your skin is completely clean before beginning the tattoo. If your artist does not do any of this, do not let them touch you with the needle. Tell them your skin needs cleaned and shaved before they can start giving you a tattoo. A tattoo artist forgetting this step is very rare, but you want to make sure you know all the steps required in cleanliness in order to prepare yourself. During the entire process of getting your tattoo done, you or your friend should make sure that every precaution is taken by your artist in order to keep everything clean. When the artist runs out of ink, make sure a brand new ink pot is used and no cross contamination has happened in the process. Make sure the table has been wiped down with all materials needed set on top. This way, the artist will not have to reach into a dirty drawer or go into another room to get more ink or needles. Most tattoo artists are very cautious about cross contamination and follow all the steps for cleanliness, but you want to pay very close attention just in case. 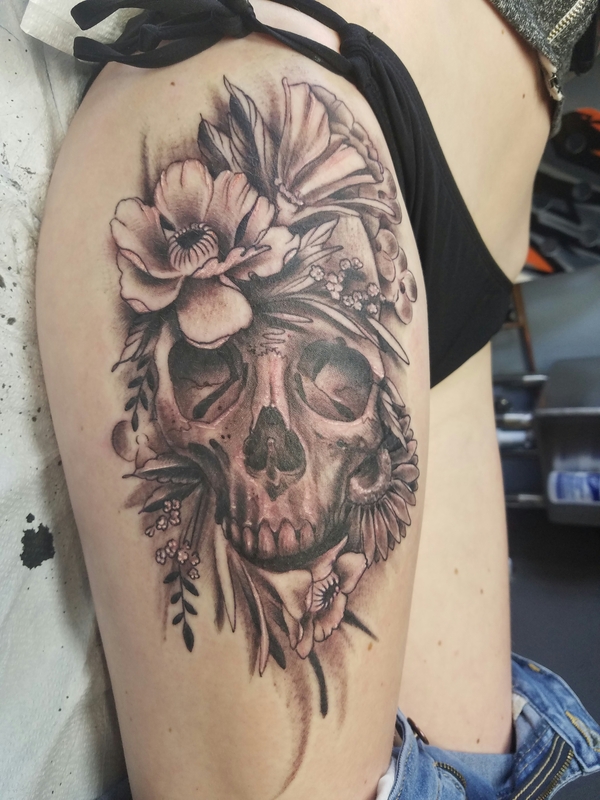 After the tattoo is complete, your tattoo artist will then need to wipe around your tattoo with a clean towel to remove any excess blood before applying a bandage. Some artists will use a large bandage, while others may use cling-wrap. Both materials are just fine. 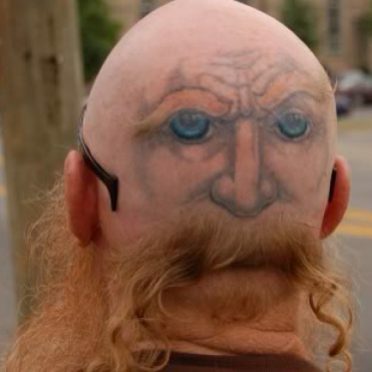 You just want to make sure you do not leave the tattoo parlor without having it properly covered. You should keep the bandage or cling-wrap on the tattoo overnight and take it off first thing in the morning. For bandages, you will need to soak it in water before removing. If you pull the bandage off, it can be pretty painful and cause more bleeding. For the cling-wrap, you can simply take it off. It will not be stuck to your skin and is easily removed. Proper covering of the tattoo is essential when you leave the parlor because it will decrease the risk of an infection. The first morning after your tattoo, you will want to remove the bandage and wash the tattoo thoroughly. You do not want to use any scented soap. Use a simple antibacterial soap and make sure you really rub it in. Rinse the tattoo completely and leave the tattoo uncovered. This will let air in and the healing process will happen more quickly. You will want to wash your tattoo out every morning and every night to keep it clean. If you can manage to wash it in the middle of the day, that’s even better. You want to keep it as clean as possible in order to avoid infection. Apply, apply, apply. Using lotion on your tattoo cannot be stressed enough. You want to apply a liberal amount of lotion to your tattoo after each wash and every time you can during the day. Tattoos dry out fast and they will peel no matter how much lotion you use. The more lotion you use, the less likely your tattoo will form scabs. With proper lotion use, your tattoo will simply peel a light layer of skin and that is it. After it peels, your tattoo cleaning is complete. You will still want to wash it in the shower or bath, but you don’t need to wash it as much. Still apply lotion as often as you can to keep your skin continuously moisturized. 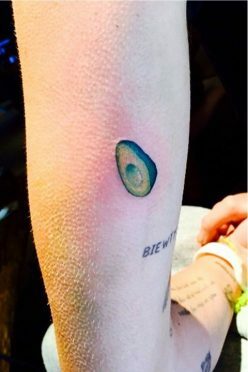 You don’t want to be showing off your tattoo with dry, chapped skin. After your tattoo has completely healed, you will need to apply a good sunscreen to the tattoo every day. UV rays tend to make colors in your tattoo to darken after lengthy sun exposure. If you go tanning at a salon, you should cover your tattoo up completely with a towel if you can. You paid a lot of money for your tattoo, you don’t want it to fade or change color during an afternoon in the sun or with a few minutes in the tanning bed. After your tattoo has healed, you may notice that some lines aren’t as dark or some colors have faded. This is completely normal. It simply means that during the tattoo process, the artist couldn’t see through the blood to make some portions of the tattoo as dark as others. Call and make an appointment with your artist to have your tattoo touched up. Touch ups are usually free, but double-check with your tattoo artist before going in.